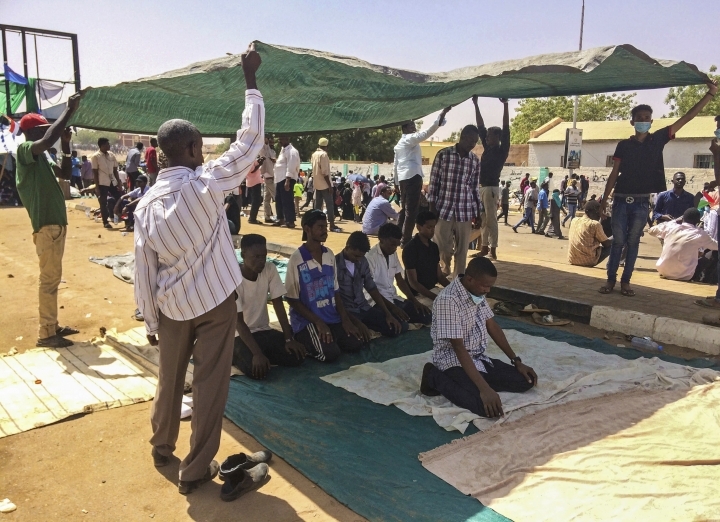 CAIRO — Sudanese security forces tried again to break up an anti-government sit-in outside military headquarters in the capital, Khartoum, killing at least 14 people Tuesday, activists behind the demonstration said. The deaths brought the total number of fatalities in the sit-in since the weekend to 22, including five soldiers, according to the activists. The demonstration is the latest in nearly four months of anti-government protests that have plunged Sudan into its worst crisis in years. 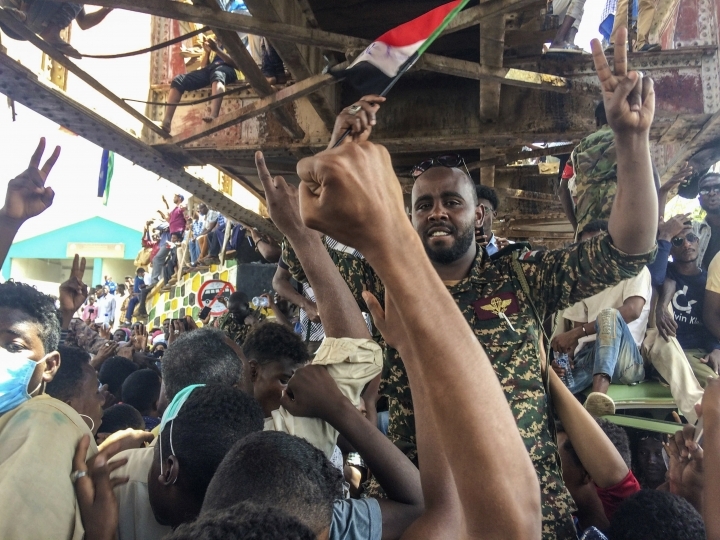 What initially erupted late last year as rallies against a spiraling economy quickly escalated into calls for an end to President Omar al-Bashir's 30-year rule. On Monday, for the first time, leaders of the protests called on the military's leadership to abandon al-Bashir and join their call for change. And on Tuesday, they invited military leaders to meet with their representatives to "discuss arrangements for a transition" in Sudan. Maj. Gen. Ahmed Khalifa al-Shami, a spokesman for the military, said the military has nothing to do with political matters and authorities ordered the protest to be broken up. "This sit-in ... could drag the country into chaos. ... All demonstrators were pushed out of the area surrounding the armed forces' headquarters and this was done smoothly without significant causalities," he said in comments broadcast on TV. In a joint statement on Tuesday, Norway, the U.K. and the U.S. backed the protesters' demands, urging Sudanese authorities to "deliver a credible plan" for political transition. "Failing to do so risks causing greater instability. The Sudanese leadership has a grave responsibility to avoid such an outcome," they said. 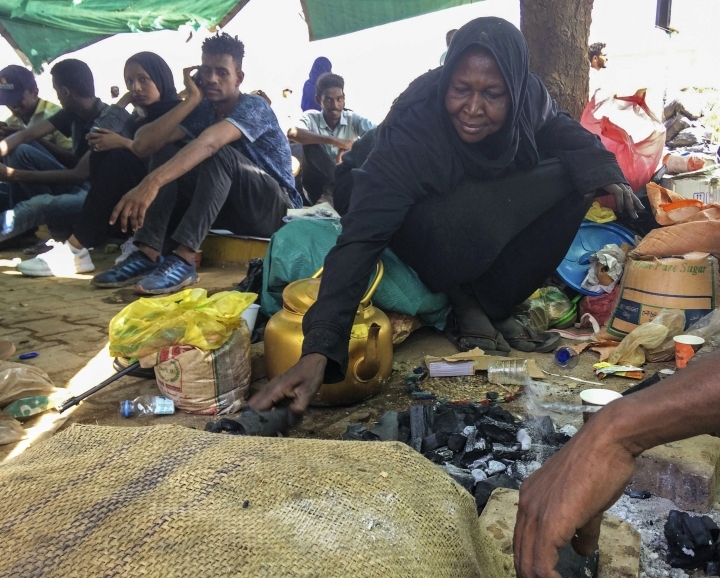 Sarah Abdel-Jaleel, spokeswoman for the Sudanese Professionals Association, said the new clashes erupted early on Tuesday between security forces and protesters who have been camping out in front of the military complex in Khartoum for the past four days. The police used tear gas, rubber bullets and live fire to try to disperse the protesters, according to Abdel-Jaleel's union, which is spearheading the demonstrations. It was the second time security forced failed to break up the sit-in protests, which has grown into one of the biggest rallies in the current wave of unrest. 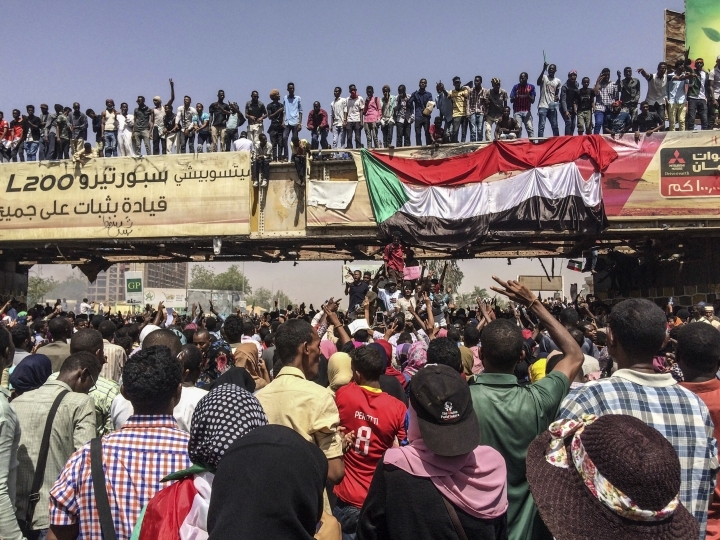 But a crack seemed to be emerging among the Sudanese authorities and the military as to how to handle the protests. 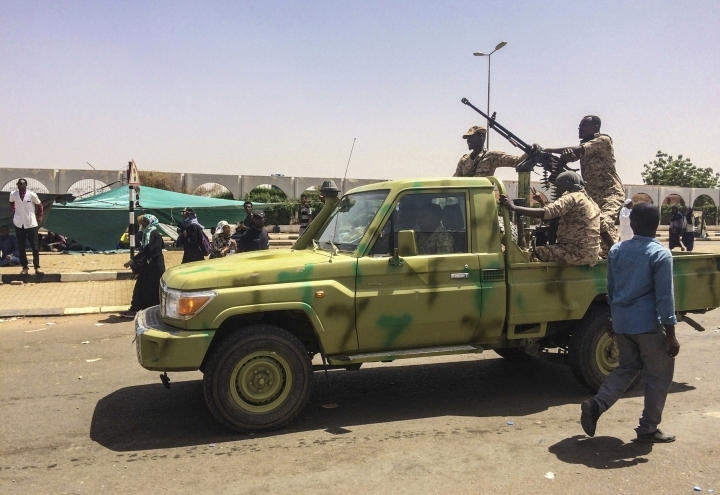 Online video footage circulating Tuesday showed some Sudanese troops seeking to protect the protesters and guarding the entrance to the sit-in area. Heavy gunfire can be heard as protesters seek cover from the descending security forces. Other video clips show burned police vehicles used as trash dumps. 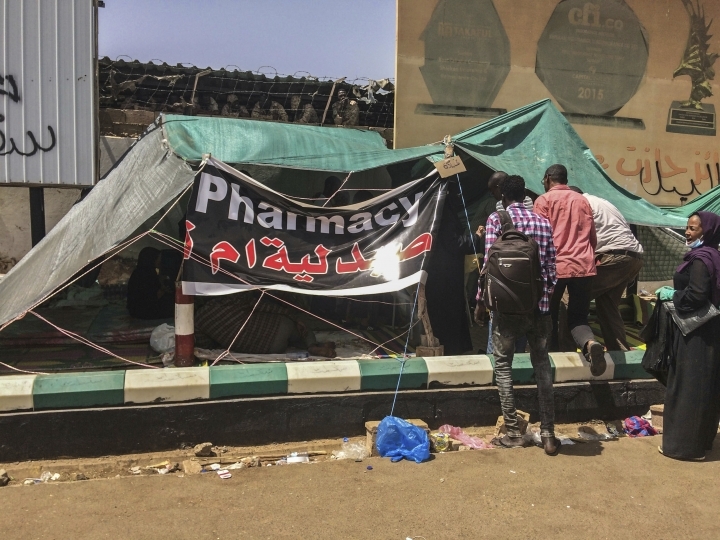 The Sudan Doctors Committee, an affiliate of the union, said at least 153 people were wounded since Saturday. It said the five soldiers, including a captain, were killed while defending the protesters in the past two days. The medical group said troops guarding the military's complex, which also houses the Defense Ministry and a presidential residence, chased the security forces away, firing into the air for the second night. It said that apart from the officer, six protesters were also killed. Abdel-Jaleel, the spokeswoman, said at least 30 protesters were wounded in the violence. 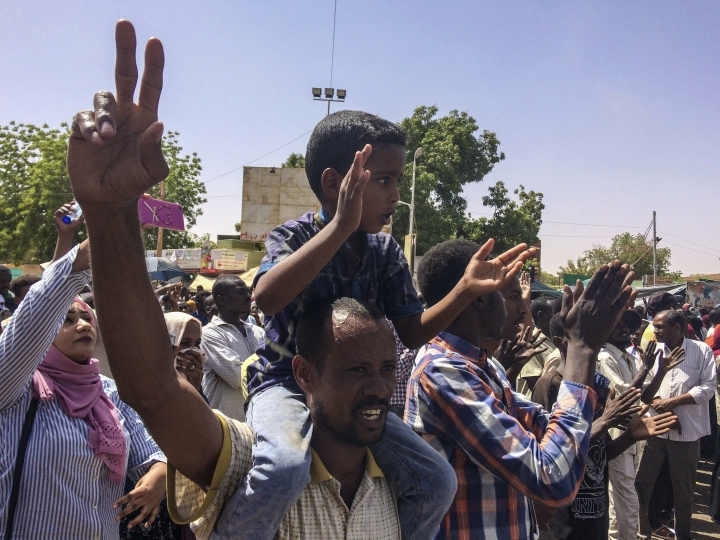 Amnesty International said authorities in Khartoum cut off the water supply to the area of the sit-in, and cars were being searched and seized by security forces for ferrying food and water to protesters. "The move by the authorities to try to starve protesters and deny them access to communication is a clear attempt to silence and deny protesters their human rights," said the group's director for the region, Joan Nyanyuki. A government spokesman didn't respond to calls seeking comment. 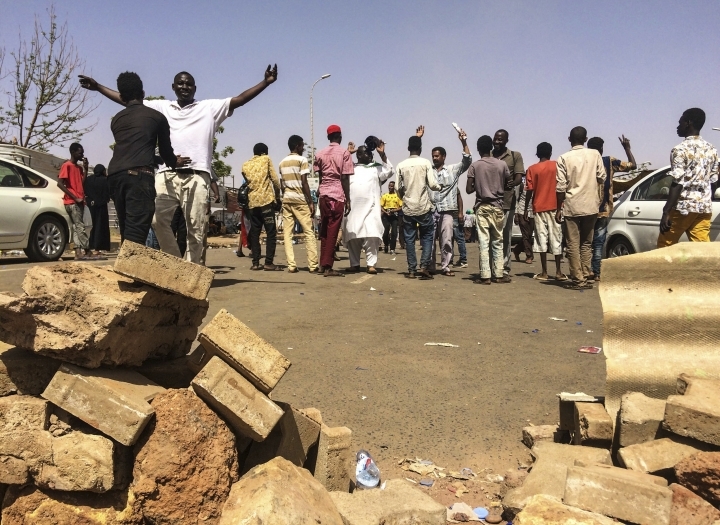 The county's interior minister, Bishara Gomaa, told the parliament on Monday that at least seven people were killed in the protests since Saturday — six in Khartoum and the seventh in the Darfur region. There was no word from the army on the latest military death. 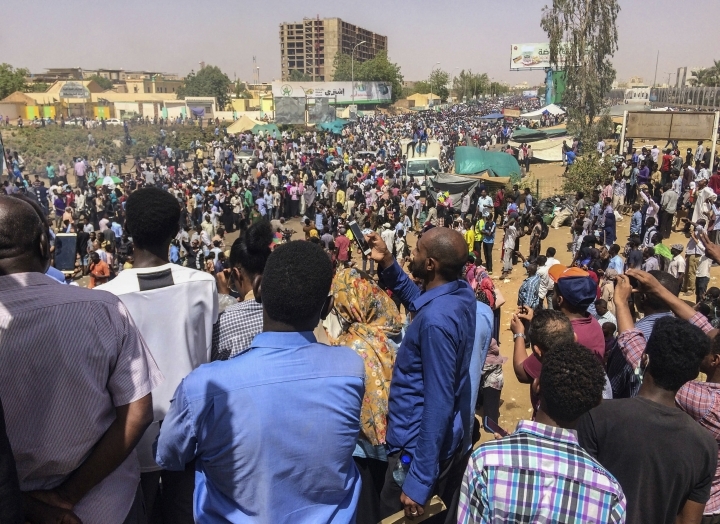 A split between Sudan's militantly and its security agencies could mark a significant turning point for the protesters. Gen. Awad Mohammed Ibn Auf, the country's defense minister and vice president, denied any divisions and said the military and the security apparatus were coordinating on how to deal with the protesters. "There are parties trying to exploit the current situation to create strife between the components of the security system in the country," he told a meeting with senior officers on Monday. Despite the deaths, the mood among protesters at the sit-in on Tuesday was upbeat, with online videos showing the demonstrators singing traditional songs and shouting, "Revolution!" They also chanted, "The people want the fall of the regime," one of the main slogans from the Arab Spring uprisings that swept the Middle East and North Africa in 2011.